Come on in for a visit. Have a cup of coffee and get to know us. 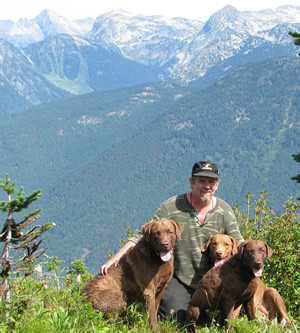 Our dream to raise Chessies began more than 15 years ago with the adoption of two Chessie X Labs from our local SPCA . The love for these two Chesadores extended and influenced us far beyond their few years that they shared with us. Although they have crossed over the rainbow bridge, they will always hold a cherished place in our hearts .The memories and companionship they added to our lives and those of our growing children will always be with us. 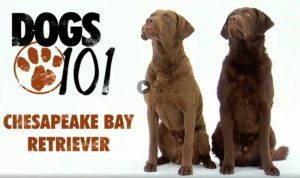 We decided that it was the Chessie characteristics that drew us to these “brown clowns “. After a year of looking and researching the breed we purchased the foundation of what is now our breeding stock. At Trinity Kennels, it is our goal to produce Chesapeake’s known for good temperament and health with a strong desire to carry on the breeds rich tradition of hunting and working principles. Is a Chesapeake right for you?